After stepping onboard a Princess Cruise ship last year Penny quickly rediscovered her cruise legs, and was pleasantly surprised to find that as well as the incredible food and the destinations, childcare was still a big feature on this elegant cruise line. Today she interviews Sally Harrigan, Manager of Youth Programmes, Onboard Media and Partnerships about childcare on Princess Cruises. 1. As parents to young children, we often feel nervous about leaving our children in childcare on holiday, especially for the first time. What is the best thing you can say to reassure someone who potentially could be feeling a little apprehensive about leaving their children? We understand that some kids and parents may feel nervous when in a new environment. When you come into our centres, our professional, highly-skilled staff will put you at ease quickly. They have years of experience working with children, not just onboard but on land as well. We recognise that when it comes to children, safety has to be the priority. Parents can rest assured that we’ve integrated several layers of security into our operations to ensure we always function at the highest safety standards. We also have pagers for fast communication between staff and parents onboard, and we always welcome parents to call or come in anytime to see how their child is adjusting. 2. Can you describe to us a typical day? We have three distinct programmes onboard: Pelicans, ages 3-7; Shockwaves, ages 8-12 and Remix, teens ages 13-17. We’ve designed activities to be developmentally appropriate for each of these age groups. For Pelicans, one of the most popular activities is t-shirt colouring. The kids have so much fun colouring their custom souvenir t-shirts with fabric markers. It’s a great keepsake of their time with us. Pirate Night is also a big hit with this group. 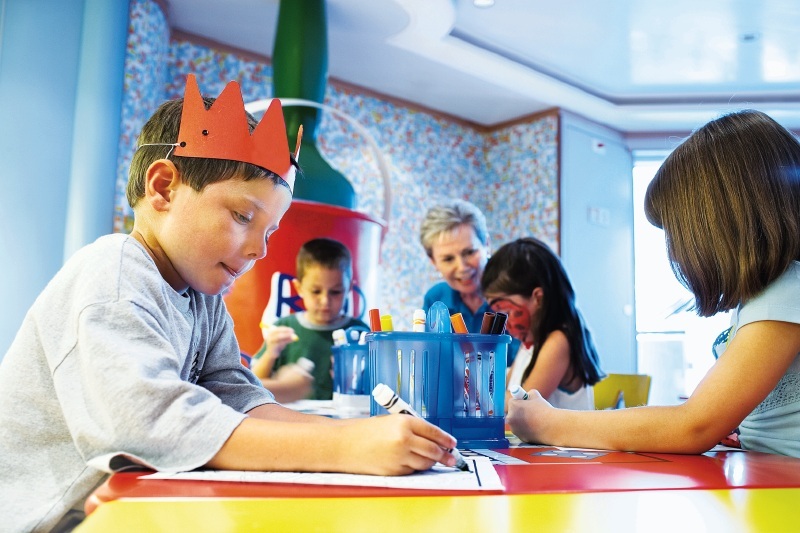 We do a fully supervised treasure hunt around the ship, make pirate hats and eye patches, and play games. Our Pete’s Pals Endangered Species Programme is also a favourite with the younger ones. Our staff are trained to deliver fun, hands-on workshops about blue whales, sea turtles and other animals. Kids also participate in activities that highlight the importance of ocean conservation and environmental preservation. It’s an educational programme that’s entertaining and engaging. For the Shockwaves group, a typical day includes a dodgeball game or other team activities, a scavenger hunt, and sometimes we have video game tournaments. We’ll also offer art projects, fun theme nights, talent shows, movies, kids-only dinners, and dance parties. Also, our Jr.CHEF@Sea event (nominal charge) is a favourite of this age group. It’s a hands-on cake decorating course that’s conducted right in the ship’s galley with the Pastry Chef. Kids are given aprons and chefs toques to wear (and keep as souvenirs! ), and set up in individual prep stations. Parents can also get involved to learn tips and techniques in baking. It’s a memorable for both kids and parents. It’s very rewarding to be part of a family’s holiday, helping them fully immerse in the experience onboard – whether it’s relaxing by the pool, dancing together at a party, getting their faces painted at Family Fun Fair – I love seeing families connect with each other in new ways. A cruise is truly a wonderful way to travel as a family. 4. 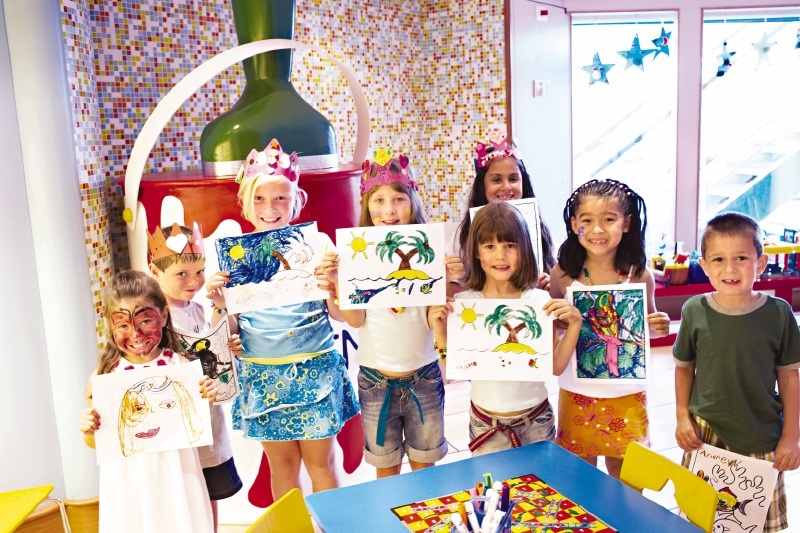 Can you give us a top tip when it comes to leaving our little ones in a cruise childcare setting? Parents should consider using our Cruise Personalizer tool to register their children for the Youth Programme in advance. This is the same tool that guests use to manage their booking, input passport information, and sign up for shore excursions. This saves time and paperwork on the first day, which can be very busy. Also, it may be helpful to look at the activity schedule with your kids and highlight the key events you’ll do together as a family. This helps provide some structure to your cruise, which can put little ones at ease. Finally, one last tip – take advantage of our late night group babysitting services! It’s a nominal fee and gives parents the chance to enjoy cocktails and a show, or an evening movie by themselves. 5. What do you do to ensure that both children and parents are happy and have enjoyed their time? We make sure we provide a diverse schedule of activities and events to appeal to different interests. We want to offer enough variety that all kids will find something they like doing. Sometimes the kids have so much fun, they don’t want to leave. They’ll rush through lunch or dinner with their parents just to get back to the kids centre for more fun. We do our job of keeping kids safe, happy and entertained, which means parents are happy, too. 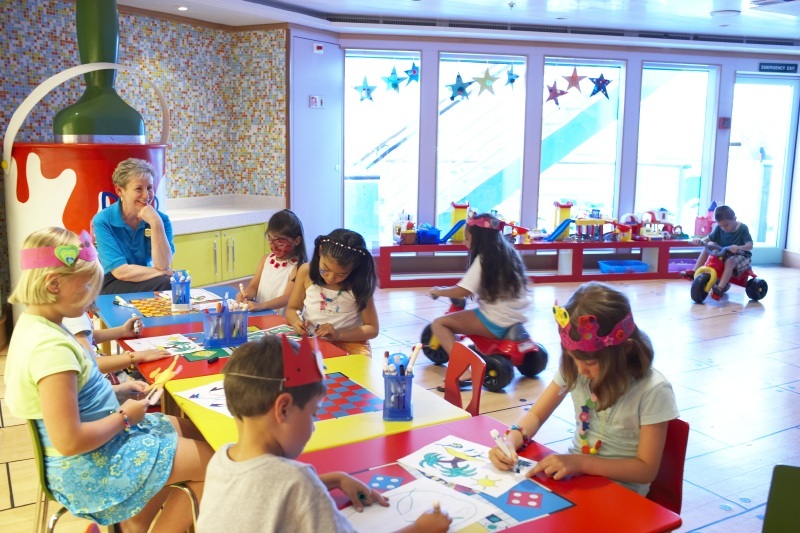 We hope you enjoyed reading about childcare on Princess Cruises, we keep thinking we must title this feature Children’s Activities, instead of childcare as it really is about the amazing opportunities for children, as much as a break for parents. 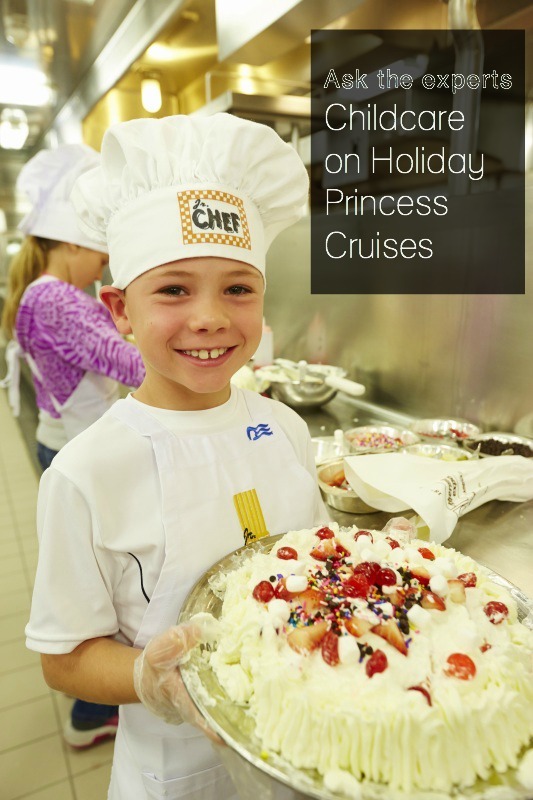 You can see more pictures of a Princess Cruises ship, and read Penny’s impressions of food and childcare in this post.